I formally introduced the concept of Cultural Maturity and the basic ideas of Creative Systems Theory over forty years ago. In the years since, I and colleagues have worked to fill out these notions and train leaders in their application. The larger portion of my most recent work has focused on making these notions accessible to a broader audience. 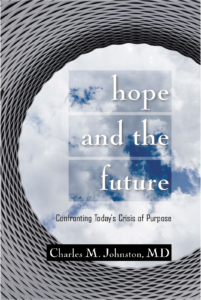 These efforts have included three new books—Hope and the Future, Culture Maturity, and Quick and Dirty Answers to the Biggest of Questions—along with a series of five educational websites and the Cultural Maturity Blog. These further efforts have added new clarity, depth, and detail to work that had already made a major contribution. They have also—in how engaging them has further stretched my thinking—provided essential new insights into why the kind of understanding these notions reflect is of such significance. Some of those insights have come from questions I consciously asked in taking on these efforts. Others have taken me totally—and sometimes embarrassingly—by surprise. This post summarizes my thinking at this point about that significance. Those who know me well know that it was not my intent to develop ideas this original or radical in their implications. These notions emerged, often in unexpected ways, in pursuing some early observations that I found intriguing (see Lessons From How the Concept of Cultural Maturity and the Ideas of Creative Systems Theory Came to Be). Those who know me are also aware that it is not in my nature to be a promoter—and that making claims that people can see as overly grand does not make me comfortable. But success with applying these notions to critical issues has made the depth of their importance inescapable. Today that importance leads me to engage the task of making these notions more widely available—a task that, precisely because of what makes them significant, presents major challenges. A basic description of the contributions made by the concept of Cultural Maturity and the ideas of Creative Systems Theory provides a starting point for addressing that significance. The concept of Cultural Maturity describes how our times challenge us to engage a new chapter in our human development—an essential “growing up” as a species. In doing so, it helps us better understand the times we live in and the leadership tasks that define our time. Creative Systems Theory—a manifestation of the new kind of understanding that becomes possible with culturally major perspective—provides a comprehensive framework for understanding how human systems of all sorts grow and change. It helps us tease apart the specifics of essential issues—both personal and more encompassing, and from those of an immediate “front page news” sort to big- picture, long-term concerns. It is not necessary to deeply understand what makes the concept of Cultural Maturity and the ideas of Creative Systems Theory important to make good use of them. Indeed, if these notions are correct, we should find essential aspects of the changes they describe reordering experience in the future whether or not we overtly work to make this happen. These are developmental notions; at least as potential, the changes they describe are built into who we are. That said, being conscious of what makes these notions significant strongly supports us as individuals with putting them into practice. And big-picture, it supports realizing that broader potential as a species. Here I will come at addressing these notions’ importance first by looking separately at the concept of Cultural Maturity and the ideas of Creative Systems Theory (CST). I will then turn to some of those more recent—and sometimes humbling—insights. Finally I’ll address how the significance of these notions combined with how much they ask of us impacts the tasks of culturally mature leadership—and my personal role going forward. The concept of Cultural Maturity’s most immediate significance lies with how it provides a guiding story for our time. As familiar guiding stories such as the American dream and our various religious traditions so often fail provide the answers they once did, this contribution could not be more timely or important. We need new ways of thinking about what matters and what it means to go forward. Modern circumstances increasingly leave people feeling at best overwhelmed, at worst hopeless and cynical. In part, this is a reaction to specific concerns—job loss with globalization, terrorism, nuclear proliferation, climate change, and the erosion of familiar moral assumptions, to name just a few. More big-picture, we confront what I refer to as our time’s “crisis of purpose.” The diminishing power of once unquestioned truths can result in people feeling rudderless—wandering aimlessly in an increasingly uncertain world (see Humanity’s Crisis of Purpose). The idea that our times are requiring us to engage a more “grown up” chapter in our human narrative offers an antidote to such overwhelm and aimlessness. With regard to specific new concerns, culturally mature perspective helps us better understand why we should see such concerns. It also offers that we might think about solutions in more sophisticated ways (see Seven Questions on Which the Future Depends). With regard to our time’s larger “crisis of purpose,” it offers both explanation and a way to understand positive options going forward. Historically, culture has functioned as a symbolic parent, providing clear rules to live by. The concept of Cultural Maturity addresses why this is changing. It also clarifies how, while leaving behind culture’s parental status can be disorienting, doing so also opens the door to new options and new ways of thinking (see Beyond Culture as Parent). Over recent decades, “postmodern” thinkers have effectively chronicled our time’s loss of traditional truths. But the anything-goes, different-strokes-for- different-folks solutions they tend to put forward do little to replace what they accurately observe has been taken away (see What Cultural Maturity is Not: Postmodern Pseudo-significance). 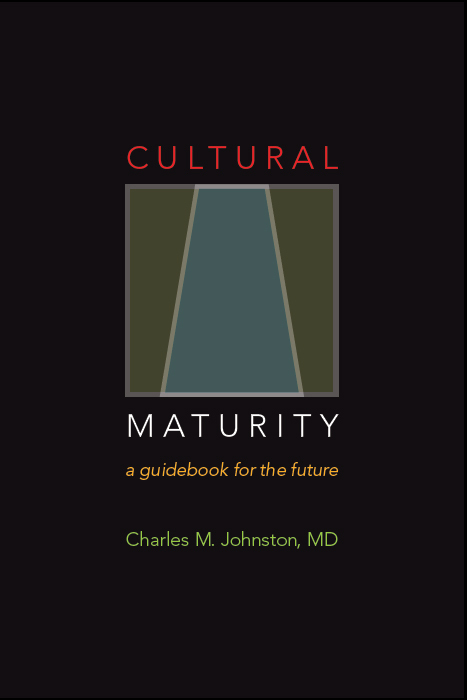 Cultural Maturity’s new chapter in understanding (we could call it post-postmodern) brings the sophistication of perspective needed to address today’s increasingly complex personal and planetary challenges. It articulates a way forward that is possible, practical, and compelling—and if we can pull it off, ultimately profound. What the concept points toward is not easy. Cultural Maturity can be an unsettling notion. It challenges the common belief that modern age ideas and institutions represent some ideal and end-point. Ultimately, it calls into question ideological beliefs of every sort—from nationalistic allegiances, to favorite political and religious assumptions. And the new picture it puts forward asks much more of us. It makes us newly responsible not just for making mature choices, but for understanding in fundamentally new ways. But however great Cultural Maturity’s demands, beginning to take them on offers much—and much that is essential—in return. To start, it offers real hope. The basic recognition that a way forward exists provides a limited kind of hope. And if we begin to grasp what makes this way forward new, we find further reasons to be hopeful. This next chapter in our human narrative is not just about being more technologically adept, but about the possibility of being more intelligent—and ultimately more wise—in our decision-making. The observation that the potential for this greater maturity of perspective is built into who we are further supports hope. It means we don’t need to create Cultural Maturity from whole cloth. This conclusion requires CST’s evolutionary framework to make full sense, but it is critical. If it is not accurate, the leap that culturally mature perspective requires would likely be beyond us to achieve. Fortunately this developmental result is consistent with what we see. For example, in my writings I describe how, in spite of the fact that the concept of Cultural Maturity is not part of most people’s understanding, the best of thinking and social innovation over the last century has at least pushed against Cultural Maturity’s threshold (see Cultural Maturity: A Guidebook for the Future). There is also how, when people succeed at bringing culturally mature perspective to bear, it tends to feel ordinary—common sense—rather than odd or mysterious (see Common Sense 2.0: How the Tasks Ahead Can Be More Straightforward Than We Think). The common sense we encounter is of a sort we have not before been capable of. But the fact that we experience culturally mature perspective as reasonable, if not almost familiar, supports the idea that its potential is inherent in us. It also supports the conclusion that, with persistence, Cultural Maturity’s changes are achievable. The significance of the concept of Cultural Maturity is not just conceptual and emotional, but also immensely practical. We recognize this practical importance most directly with the new capacities that come with Cultural Maturity’s changes. I’ve written extensively about how a related handful of new capacities will be needed to effectively address future challenges in most every part of our lives. I’ve also described how Cultural Maturity’s changes make these capacities newly possible (see Cultural Maturity’s Defining Themes). These new capacities provide an essential set of tools for making our way in these easily overwhelming and confusing times. They include, as a start, coming to better tolerate uncertainty and complexity; getting beyond the us-versus-them assumptions of times past (whether in relationships between countries, in how social groups view one another, or with knee-jerk animosities between political parties); better appreciating the fact of real limits (both limits to what we can often do and limits to what we can know and predict); learning to think about what matters in more systemically complete ways (as with rethinking wealth and progress—what Creative Systems Theory calls answering the systemic Questions of Referent); and better understanding how events always happen in a context—here particularly in the context of their time in culture’s story. Two of the new books—Hope and the Future and Cultural Maturity: A Guidebook for the Future—are organized around these new capacities. The recognition that critical challenges before us will require culturally mature capacities has major implications. Because these capacities are fundamentally new—and newly necessary across widely different realms of understanding—this recognition helps confirm that, in fact, we are dealing with a new cultural chapter. And these are capacities we can practice. We can use them both to address specific challenges and to “build the muscles” needed to effectively make our way in the future’s new territory of experience. An essential further aspect of the concept of Cultural Maturity’s importance requires CST notions to make full sense, but is worth noting on its own. The concept reflects specific, developmentally-predicted cognitive changes (see Integrative Meta-perspective). It is not just a product of extrapolation from changes we see or of conjecture about the future. The new guiding story the concept of Cultural Maturity presents and all of the new capacities that Cultural Maturity’s changes makes possible each follow directly from this cognitive reordering. This recognition further supports the assertion that we are dealing with changes of a fundamental—new chapter—sort. It also helps clarify why Cultural Maturity’s changes produce the particular results that they do. In the end, the best argument for the importance of the concept of Cultural Maturity is the most basic. Not just our future well-being, but perhaps even our survival, may depend on the kinds of changes it describes. We face a growing number of challenges that could, at the least, make human life decidedly unpleasant in times ahead. Meeting them effectively will require a maturity of thought and action that before now would have been beyond us. Creative Systems Theory’s comprehensive framework for understanding purpose, change, and interrelationship in human systems is radically significant in a couple of key ways. Because it succeeds as culturally mature conception, it is significant in the history of ideas—it reflects a systemic completeness of perspective that has not before been an option. In addition, there is the practical applicability of the concepts that follow from the particular way the theory achieves this leap in understanding. CST brings a critically important greater nuance and dynamism to how we think about questions of all sorts—from the most personal, to the most socially encompassing, to the most abstract and philosophical. A major part of CST’s significance has to do with how it fills out and anchors the concept of Cultural Maturity. It gives the concept needed rigor—makes it more than just an evocative metaphor. CST describes how history has identifiable stages. Both Cultural Maturity’s general “growing up” as a species and the specific cognitive changes that produce Integrative Meta-Perspective are predicted from this developmental picture. A closer look at how the theory succeeds in making Cultural Maturity’s needed leap in understanding helps clarify CST’s big-picture significance. We associate the advent of modern age understanding with how people like Descartes and Newton took us beyond the superstition and dogmatism of medieval belief. Key to this achievement was how it put forward a new defining image—the universe as a great machine, an intricate clockworks. The great advances of our modern age followed from this new organizing concept. But while this contribution could not have been more significant in its time, it can’t ultimately be sufficient. Machine-language thinking leaves us still short of what will be required going forward, certainly when it comes to ourselves. We are not machines, we are living beings. CST offers that we might think in ways that more directly reflect our living, human natures. To get there, the theory begins by suggesting a further, again wholly new, organizing concept. It observes that what most defines us is the fact that we are tool-makers. And we are makers not just of things, but also of ideas and social structures—and, of particular importance, makers of meaning. CST proposes that it is the richness and audacity of our creative capacities that most makes us who we are. Human purpose—and, in the end, truth, at least as experienced through human eyes—becomes ultimately “creative.” . Alfred North Whitehead spoke of creativity as the “universal of universals.” CST observes something similar, then goes on use this observation as the basis for a general framework for making sense of human understanding—both understanding’s mechanisms and why we understand in the diverse and often contradictory ways that we do. Central to how CST achieves this result is the way it expands how we think about intelligence. Understanding intelligence in more encompassing ways follows directly from Integrative Meta-perspective and is pivotal to what makes culturally mature understanding of any sort new (see Rethinking How We Think: The Critical Role of Multiple Intelligences). Descartes, Newton and other modern age thinkers, along with giving us that clockworks image of reality’s workings, also argued for what was then a new way of thinking about intelligence. Modern age perspective equates intelligence with the intellect. Rationality becomes what both truth and identity are ultimately about —”I think therefor I am.” In contrast, nothing more characterizes Integrative Meta- Perspective than how it draws on the whole of our cognitive complexity—on all of the various aspects of intelligence that together make us who we are. CST argues that any idea able to effectively address our natures as living, human beings must somehow draw on all of intelligence’s aspects. And it practices what it preaches. No Creative Systems notion can be understood with the intellect alone. CST also provides an explanation for why we have multiple intelligences in the first place. It describes how our various intelligences (along with the rational, also our emotions, our imaginations, and the intelligence of the body) work together to support and drive formative process. Conscious awareness combines with intelligence’s multiple creative aspects to make the human species so audaciously innovative—and, through this, so remarkably successful. The fact that CST draws on multiple intelligences means that it stretches conventional understanding from the get go. We like to believe that just thinking hard enough will lead us to the truth. But except for questions of a technical/engineering sort this conclusion doesn’t hold up. And we don’t have to look far for evidence. Everyday experience quickly reveals rationality’s limits. It is important to recognize that the need to apply multiple intelligences presents a particular challenge to those who we tend to think most capable of bringing learned perspective to difficult problems—those in academia. Modern academia came into being in parallel with the rise of thinking that equated rationality and truth. For the most part, academia today holds to that assumption. Combined with the fact that universities have only just begun to appreciate the importance of interdisciplinary thinking, this assumption means that more life-acknowledging and specifically systemic approaches to understanding tend to be a problem for the formal academic world. While CST has important conceptual implications, again it is its practical application that has most immediate significance. I’ve described how both the absolutist, “parental” truths of times past and postmodernism’s attempts to get beyond them today fail us. CST’s approach offers not just new answers, but fundamentally new kinds of answers. The theory lets us think in more dynamic, detailed, and encompassing ways—and in relation to concerns of all sorts. CST concepts are of multiple sorts. The most basic, what CST calls Whole-System Patterning Concepts, address truth at its most fundamental. They help us bring big-picture perspective to what most matters and manage our personal and collective lives in the most life-affirming ways. In the end, this includes what should most matter to us as a species going forward—essential if we are to continue to advance (see Rethinking Progress). The ability to appreciate difference at this level is new—and important in ways we are only beginning to grasp. One of the major limitations of contemporary education is that it fails to recognize this depth of human differences. I argue in my writings on education that learning that effectively prepares students for the future will increasingly require it (see The Future of Education). Remarkably, my own field of psychiatry/psychology tends to be nearly as limited in its appreciation of such differences. Because of this, a major portion of psychological research reaches misleading conclusions (being normative, it neglects to take this depth of difference into account). Psychological practice too often similarly stops short by failing to understand and support the unique gifts that come with such differences. Ultimately, CST challenges us to rethink basic assumptions in every realm of understanding. Perhaps most striking is how it requires that we reformulate thinking across the social sciences (see A Glimpse At How Culturally Mature Perspective Rewrites the Social Sciences). The social sciences had their origins in attempts to apply the great success of classical science’s mechanistic model to ourselves. When we step beyond thinking of who we are in machine terms, conclusions that before have been taken for granted frequently no longer hold up. In the end, CST challenges traditional thought of most every sort—from the hard science to art and religion. Many people find particularly intriguing how CST brings fresh perspective to eternally perplexing questions—for example, the nature of love, whether scientific and spiritual truth are ultimately compatible, or how free will is best understood (see the post “‘Come-On Steven Hawking: The Quandary of Free Will in a Deterministic Universe). (My recent book Quick and Dirty Answers to the Biggest of Questions specifically addresses this aspect of CST’s contribution.) CST also helps make understandable why at different times and places in the human story we have answered such questions in such remarkably different ways. I began the task of writing the new three book series fifteen years ago by forcing myself to return to square one in my thinking. I immersed myself in everything I could find that might be pertinent to these notions—the best of futures thinking; systems theory; writings in philosophy, sociology, political science, history, the hard sciences, religion, psychology, and more. I needed to be sure that my efforts were not in some way reinventing the wheel. If they were, I would have been more than happy to step aside and apply my life to endeavors of a less provocative—and often uncomfortably demanding—sort. What I saw was that while others had set important foundations for this kind of thinking, like it or not, I was venturing in new territory. This recognition, combined with a growing appreciation for the depth of these notion’s importance, made it obvious that I needed to proceed. Over the course of working on the books, additional observations further affirmed that depth of importance. A particularly humbling insight—but also one that would prove provocatively confirming—came half way through the book project. I thought I had come upon a perfect approach for writing about the concept of Cultural Maturity for a general audience. I’ve observed how culturally mature capacities are needed if we are to effectively address—or even usefully understand—many critical challenges ahead for the species. This observation suggests a simple approach for writing about Cultural Maturity: Make the topic of each of a book’s chapters one of those new capacities. The humbling insight came with attempts to execute this “simple” strategy. I’d start working on a chapter assuming I could easily write it in a way that was straightforward and concise. But after many pages I was still writing and still not feeling close to being finished—and also not fully happy with the result. Colleagues would offer suggestions on ways to make the writing more clear, but most often the result if I took their advice was no better. Finally—with some embarrassment—I recognized the problem. If culturally mature capacities are products of a new chapter in culture’s evolution (as I was proposing), then attempting to write about them presents an inherent Catch 22 dilemma. Making deep sense of culturally mature capacities is going to require culturally mature capacities. The fact that I faced this dilemma highlights the significant challenge culturally mature understanding inescapably presents. It also further supports how deeply that challenge confronts us with something new —and its major importance. A further insight has been more a product of the last year. As I’ve attempted to engage a broader audience, I’ve been surprised by how often observations that follow from culturally mature perspective can be a stretch for people. More frequently than I would choose, I’ve been confronted with how even basic recognitions—often recognitions that will be critical to going forward—remain ahead of their time. The fact that culturally mature perspective can remain as head of its time as it often does doesn’t mean that it is not important now—we live in times where big-picture, long-term foresight with regard to numerous key issues has become essential. But I’ve had to come to grips with that fact that having a critical mass of people able to bring culturally mature perspective to bear, depending on the issue, may often be ten, twenty, thirty, or even fifty years away (see Cultural Maturity and Long-Term Perspective—Looking Twenty to Fifty Years Out). This recognition of how far we often have yet to go has been reinforced of late by the extreme absurdity of so much that is going on in the world right now— particularly in the political arena. Much of that absurdity can be understood in terms of Cultural Maturity’s changes and is not inconsistent with them (see Transitional Absurdity: How the Ludicrous Can Be Consistent with Hope). The theory predicts both “overshooting the mark” and regressive responses to unsettling realities. But the fact that we confront these dynamics as often we do makes it hard to deny that often we are not as far along as I had hoped. This greater clarity of temporal perspective presents a dual reality. It is humbling as far as what it reveals about the challenges that culturally mature understanding presents. And, at the same time, it makes the importance of those challenge’s even more impossible to ignore. Recognizing how far we often have yet to go helps sharpen our appreciation of the necessity of getting there. A small sampling of very different current front-page-news examples highlight this two-handed circumstance. Culturally mature perspective emphasizes the critical importance of getting beyond ideological polarization in the political arena. It clarifies how the best of conservative and liberal political thinking represent complementary aspects of larger systemic realities (see Partisan Pettiness—An Abject Failure of Leadership). Today, as petty partisanship divides us as never before, we see how far we are from the needed systemic sophistication. And, at once, we see how essential such sophistication will be to the long-term effectiveness of government. Culturally mature understanding alerts us to the critical importance of acknowledging environmental limits. Regarding climate change, I’ve described how simple risk assessment effectively ends the discussion (see Climate Change and Culture’s Big Picure). Yet, today, the climate change debate rages on and efforts to limit carbon emissions are proceeding much more slowly than will be needed to avoid significant harm—and perhaps catastrophe. Again, we see, at once, how far we are from the needed maturity of perspective, and how critical such perspective is to a vital future. I’ve written repeatedly through the years about how containing health care costs will require a new maturity in our relationship with death (see A New Relationship With Death). In the end, the most compassionate and effective care similarly depends on leaving behind modern medicine’s heroic “defeat death and disease at any cost” mindset. The fact that health care costs continue to spiral in a way that is ultimately unsustainable alerts us to how far we are from effectively confront this challenge—and also to the fact that we have no choice ultimately but to do so. Some of the first articles I wrote forty years ago concerned how our times are challenging us to rethink love and what it asks of us. I proposed that our Romeo and Juliet, two-halves-makes-a-whole ideal represents not the end point we assume, but just one chapter in love’s evolution. I went on to described the emerging possibility of a less mythologized, more “whole person” kind of love. Today, we see its beginnings. No topic comes up more frequently in my efforts as a psychiatrist than how love is requiring us to relate in new, more mature and complete ways (see Understanding Today’s Radical New Chapter in the Story of Love). But popular depictions of love in the media still rarely get beyond fairy tale romance and soap opera drama. Long term, celebrating a next chapter in love’s story will be essential to love that works. I could go on to note how a similar dual reality confronts us with numerous other critical human challenges. The fact that needed changes can take as long as they do can be frustrating—and given their implications, often frightening. But the fact that these changes ask a lot of us also highlights their importance—and the importance of perseverance. Where culturally mature perspective takes us, once we get there, in each case feels straightforward—as I’ve observed, like common sense. But, like it or not, this greater maturity of common sense is not easy. Often we are only beginning to appreciate its possibility, much less reap its rewards. I’ve noted that the concept of Cultural Maturity and the ideas of CST weren’t products of some desire on my part to be original in my thinking or to have major social effect. The fact that these notions have the significance that they do is something that I have come to recognize only gradually through putting conclusions into practice. The recognition of this level of significance has important implications for me personally. Certainly it confers responsibility—a responsibility I’ve chosen to take on. Over the course of my my life, I’ve committed a major portion of my time and energy to the development of these notions. Today, I devote much of my efforts to mentoring those who are interested in understanding and applying them. The more recent observation that “depending on the issue, having a critical mass of people able to bring culturally mature perspective to bear may be ten, twenty, thirty, or even fifty years away” has a further implications that I can find less comfortable. As I write this post, I have just had my 68th birthday. If this observation is correct and these notions are to make the major contribution that their social/historical significance points toward, it is very likely that much of that contribution will not happen during my lifetime. I have to accept when I am writing that I may be most addressing people who will encounter my words years from now, perhaps after I am gone. Some of those people may not even yet be born. I also have to accept that it is quite possible that, over time, it is others who will do the best job of translating this kind of perspective in ways that people can broadly make use of. I see my task in my remaining years as having two parts. I will do what I can to support and engage people who are currently able to recognize the importance of culturally mature perspective. And I will continue to develop detailed resources that can endure into years ahead and be applied and reinterpreted as they become more readily understood and most timely.